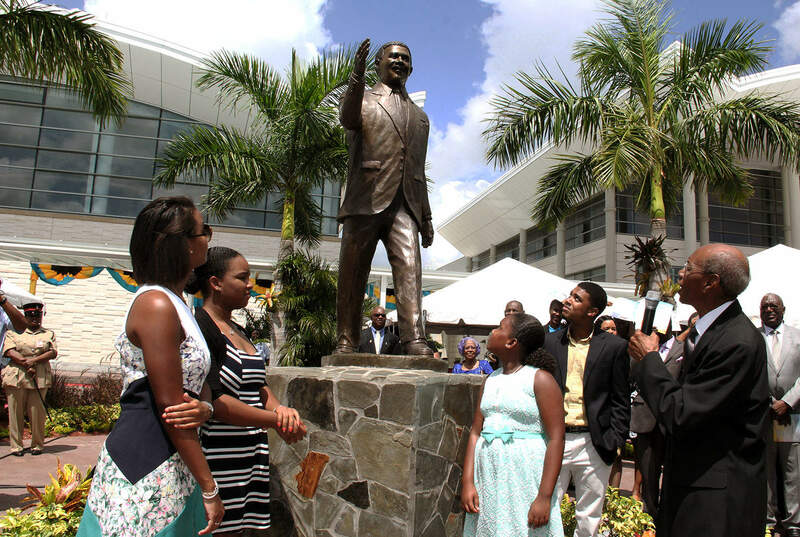 In recognition of his contributions to The Bahamas, a life-sized statue of former Bahamian Prime Minister, Sir Lynden Pindling was erected at the entrance of the International wing of the Lynden Pindling International Airport. 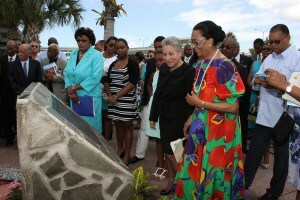 The statue, which took two years to build, was created and produced by local sculptor, Peter Johnston. 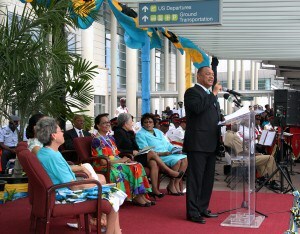 The statue was unveiled as part of the 42nd Bahamas Independence Celebrations on Thursday, July 9, 2015 in a ceremony held at the state-of-the-art, $409.5 million airport named in Sir Lynden’s honour.